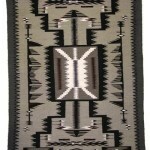 This handwoven Zapotec Mexican rug replicates the classic period Navajo Chief blanket. 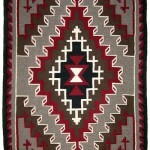 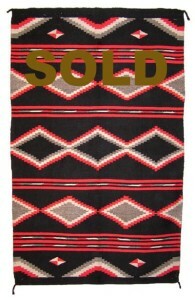 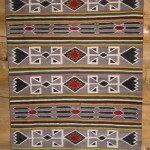 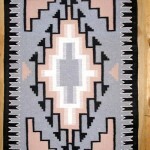 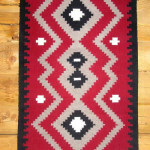 Traditional Navajo blankets design theme and colors are utilized: red, black, white and gray. 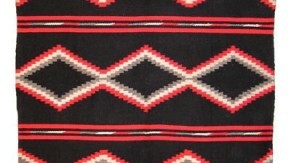 A Navajo Chief Blanket design theme is simple; and may include full or partial diamonds or stepped blocks, serrated zigzags and stripes or bands, and an occasional cross or whirling log.